It is with great anticipation that we enter 2019, a year already bursting with opportunity for the reconciliation movement. With the UN declaring 2019 the International Year of Indigenous Languages, it is a reminder that Australia is home to more than 250 distinct languages, dating back 12,000 years or more. Today only around 120 of those languages are still strongly spoken but unfortunately some are also at risk of being lost as Elders pass away. Throughout this year there will be opportunities to learn more about these unique languages, but most importantly the connection they have to Aboriginal and Torres Strait Islander culture, belonging, identity and survival. It is also a clear reminder of how critical the voice of Aboriginal and Torres Strait islander people plays in the landscape in this country, past and present. The push for a Voice to Parliament will intensify in coming months, and will be central to this year’s NAIDOC Week, with the theme “Voice, Treaty, Truth”. With January 26 fast approaching we would like to acknowledge those local councils – such as Yarra, Moreland and Darebin Councils – and other organisations who have heeded the voices of the Aboriginal and Torres Strait Islander community and changed the way they mark the day. 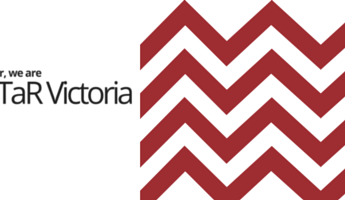 Reconciliation Victoria strongly encourages a continuing and respectful national conversation about the suitability of celebrating our national day on the 26th January. This conversation would help us reflect on who we are as a nation, what we stand for, and what date in our history best reflects those values and attributes. Nominations for the 2019 HART Awards open 18th February. The HART Awards recognise Victorian initiatives that contribute to local reconciliation outcomes. If your council or community organisation (big or small) is doing great things in the reconciliation space make sure you nominate – or if you know of an organisation doing great work encourage them to consider nominating. Check out the NAIDOC website, where you can subscribe to the NAIDOC mailing list, for all the latest news. The Victorian Government is supporting self-determination by improving the community facilities of a number of Aboriginal organisations across Victoria. Minister for Aboriginal Affairs Gavin Jennings recently announced a series of grants for Aboriginal organisations across Western Victoria to improve their facilities. Gunditjmara Aboriginal Cooperative to develop a business case to investigate bringing its healthcare, community services and corporate services under one roof. Great news for the First People of the Millewa-Mallee Aboriginal Corporation – the latest group of Traditional Owners to become a Registered Aboriginal Party. After a long journey, the Corporation welcomes its significant recognition through the Victorian Aboriginal Heritage Council’s decision to appoint Zone 1 of its Registered Aboriginal Party (RAP) application. The First People of the Millewa-Mallee Aboriginal Corporation (FPMMAC) are Latji Latji, Nyeri Nyeri and Ngintait (Nintay) Traditional Owners of Country in the north west of Victoria that runs south of the Murray River to the Mallee Highway, and west from the Calder Highway to the South Australian border, including the Murray-Sunset National Park. Australia’s oldest human remains, including Mungo Man and Mungo Lady, will be reburied in the original locations from which they were removed, following a unanimous decision by the region’s Aboriginal advisory group. A year ago, the ancestral remains of 105 people, including the 40,000-year-old Mungo Man – one of the world’s earliest cremations – were returned to the traditional owners of the Willandra Lakes region in south-western NSW. Now the Willandra Lakes Aboriginal Advisory Group has unanimously decided to rebury the majority of remains as close as possible to the original locations from which they were taken. Photo: Mungo Man’s remains have come home, and will now be reburied on country. In 2019, UNESCO is expected to determine if Budj Bim Cultural Landscape is to gain World Heritage status. It would be Australia’s 20th such global treasure, along with the Sydney Opera House, Uluru and the Great Barrier Reef. But it would be the first on the list purely for its Indigenous cultural heritage. And according to Gunditjmara Traditional Owner Denis Rose, smoked eel is the beating heart of that heritage. “Smoked eel was something that was part of Gunditjmara economy and the broader economy in the old days,” Mr Rose said. Pictured: Indigenous ranger Aaron Morgan is among the new generation of Gunditjmara people caring for Budj Bim landscape and its network of ancient weirs and eel traps. A Senate inquiry into mental health in rural and remote areas has found that suicide has long since reached a crisis level in Aboriginal and Torres Strait Islander communities, and “that this has been allowed to continue unchecked for so long is to Australia’s shame”. The inquiry released its final report in early December, finding that mental health services for all people in rural and remote areas were lacking, but “in too many cases, the causes of suicide for Aboriginal and Torres Strait Islander people is not mental illness, but despair caused by the history of dispossession combined with the social and economic conditions in which Aboriginal and Torres Strait Islander peoples live”. Read the article from The Guardian. The Elders’ Report into Preventing Indigenous Self-harm and Youth Suicide (2015), gave voice to the experiences of Elders living with the alarming rates of suicide in their communities and the importance of culture in preventing youth suicide. Three years post the release of the report, and the establishment phase of Culture is Life, which aims to back Aboriginal and Torres Strait Islander led solutions to prevent youth suicide, The Elders’ Report Refresh will place young people at the centre of the dialogue. Participation in this research is voluntary, and all information will be treated in confidence. Council of Australian Governments agrees Indigenous voices must have greater say in decisions. Indigenous groups have welcomed the announcement of a “genuine, formal partnership” between Aboriginal and Torres Strait Islander representatives and governments on the Closing the Gap strategy, following concerns that Indigenous voices had previously been ignored. At the Council of Australian Governments (COAG) meeting in Adelaide last week, it was announced that Indigenous leaders would have more say about their future. “Aboriginal and Torres Strait Islander peoples must play an integral part in the making of the decisions that affect their lives – this is critical to closing the gap,” a communiqué from the meeting stated. THE AFL has officially committed to naming its Indigenous showpiece the Sir Doug Nicholls Round for the next two years. On the 112th anniversary of Pastor Sir Doug Nicholls’ birth, AFL chief executive officer Gillon McLachlan signed the agreement with members of the late Nicholls’ family. Photo: Members of Sir Doug Nicholls’ family (l-r: Clayton Murray-Mitchell, Robert Nicholls, Pamela Pedersen and Gary Murray) join AFL CEO Gillon McLachlan to sign the agreement. Read the full article in AFL News. Check out the My Deadly Culture Diary from VACCA. The weekly chart of the most heard Indigenous songs across Australian radio has been recently launched. “We are very excited to launch a new platform to shine a light on the great achievements of Indigenous music in Australia today,” National Indigenous Music Awards chairman Warren H. Williams said. Celebrates Indigenous culture with live music, dance, speakers and activities for all the family. Features Dave Arden, The Deans of Soul, Djirri Djirri Dancers, Gnarnayarrahe Waitairie, Mullum Mullum Hip Hop & Choir, Aurelio as well as workshops, bushfoods, panel discussion and kids activities. Taking to the Twilights stage as the show begins is Alice Skye. She might call herself ‘the new kid on the block’, but has already made her mark on the local scene thanks to her melodic and self-assured debut album ‘Friends With Feelings’. The Colac Aboriginal Gathering Place invites you to attend a gathering at Red Rock Reserve in Alvie as an alternative to the official events that occur on this day. Our gathering is not a political rally nor a protest of sorts. However, it is an Aboriginal community focussed and hosted event that is open for all people to attend and enjoy the afternoon together. Come and enjoy a great day in Boort with Jida Gulpilil and discover one of the richest cultural landscapes in Victoria. The tour will include: Aboriginal culture, cross-cultural interpretation, kayaking, art and craft demonstrations and so much more …. Transport is provided, meeting in front of Castlemaine Visitor Information Centre at 8.00 am, returning at 5.30 pm. Learn about how the Bunurong people lived as part of the coastal environment. Display and short walk. Welcome to Biderap, the dry season in the seven seasons of the local Aboriginal people. Journey through the Australian Garden on a guided sensory walk, and take in the sights and smells of the native bush. Learn weaving techniques, wattle seed grinding and pot up some river mint to take home. End the walk with a cup of lemon myrtle tea and a paddle in the Rockpool Waterway. Come and learn about the importance of smoking ceremonies, language and ochre painting. A fun-filled activity with Aboriginal language games, songs and dance. This activity is suitable for children aged 6-12 who must be accompanied by a parent or guardian aged 18 or over. Please bring water, sunscreen, insect repellent, and wear enclosed shoes and clothing appropriate for the weather. Meet at the car park at the end of Rocky Crossing Road, Goornong, about 30 minutes from Bendigo CBD. A music-filled celebration of Indigenous culture. Includes Mojo Juju, The Merindas, Squid Nebula, Kalyani Mumtaz, Brett Lee, Robert Champion, Kee’ahn and much much more. Head to the festival website for more information. Spend a night with national treasure, award-winning actor, Aboriginal elder and activist Uncle Jack Charles, annotating his colourful life and brilliant career in words and music. Hosted by respected broadcaster Namila Benson plus special guests. Uncle Jack Charles is an actor, musician, potter and gifted performer, but in his 74 years he has also been homeless, a heroin addict, a thief and a regular in Victoria’s prisons. 26 January 1972: Aboriginal Tent Embassy established across from Parliament House, ACT. 26 January 2019: Balit Narrun (Share the Spirit) Festival and Belgrave Survival Day. After a two-year tour, Black Mist Burnt Country is returning to Melbourne for its final show at Burrinja Gallery. Since its launch in Sydney in September 2016 to mark the 60th anniversary of the first British atomic test at Maralinga, the exhibition has toured nine public galleries and museums in four states and territories, most recently at National Museum in Canberra. To date the exhibition has been seen by over 100,000 visitors. More information about Burrinja Cultural Centre and the exhibition. Toongkateeyt (Tomorrow) – presented by The City of Yarra – sees the mashing of Countries through inter-generational experiences to create imagined landscapes. It takes an introspective exploration of contemporary Indigenous connection to land and identity prior to, during, and post colonisation. Subsequently, through the process of Country combination, identity as an urban Aboriginal in a post-settled south-east Australia is signified. Gunditjmara artist Hayley Millar-Baker is influenced by her Koorie bloodlines. More information from The City of Yarra. Monday, Tuesday, Wednesday, Friday 8:30am – 5pm. Thursday 8.30am – 7pm. Saturday 12 noon – 4pm. Mullum Mullum Indigenous Gathering Place, Baluk Arts, Winja Ulupna Womens Recovery Centre, Healesville Indigenous Community Services Association, Willum Warrain Aboriginal Gathering Place, Casey Yarn & Art Group and Bunjilwarra Koori Youth Alcohol and Drug Healing Service.Please join us for this fascinating exhibition full of huge Bunyips celebrating a uniquely Australian icon. To be opened by the Mayor of Maroondah, Cr Rob Steane with an Acknowledgement of Country by Mullum Mullum Indigenous Gathering Place elder, Aunty Irene Norman followed by remarks from special guest, prominent Indigenous elder, Uncle Jack Charles. This exhibition highlights the significance of masks in Torres Strait Islander ceremonies and culture and their evolution to the present day through the commissioned works of eight artists from the Torres Strait and Northern Peninsula area. It was developed by the National Museum of Australia in partnership with the Gab Titui Centre and its parent body, the Torres Strait Regional Authority. Trina Dalton-Ooges shares the traditional art of Aboriginal weaving. Come along and learn about weaving with hands-on experience in these two special workshops. Learn to weave using recycled materials with Janet Bromley, Yorta Yorta woman and Koorie Art Show 2018 winner. Suitable for children of all ages. Children must be accompanied by an adult. The resources will assist teachers in implementing the Aboriginal and Torres Strait Islander Histories and Cultures’ cross curriculum priority from the Australian Curriculum. They will provide rigorous and refereed resources to ensure teachers feel confident teaching Indigenous science and astronomy to their students. More information about these resources. Reconciliation in Education: Learning, Unlearning, Relearning. The Narragunnawali professional learning resource, Reconciliation in Education: Learning Unlearning Relearning, encourages teachers and educators to reflect on the importance of education to reconciliation in relation to your own education experiences. Genuinely engaging in reconciliation involves personal and professional learning and reflection. This may become a journey of ‘unlearning‘ and ’relearning‘ – of challenging assumptions and recognising that what has been taught about Aboriginal and Torres Strait Islander peoples, histories and cultures in schools may have been inaccurate or incomplete. A constitutionally-enshrined Indigenous Voice to Parliament would strengthen Australia’s democracy in a time of global uncertainty, journalist Stan Grant has declared, suggesting it was a profound expression of confidence in the country’s political system and would soothe bitter social divisions. Delivering the Annual Hawke Lecture at the University of South Australia on Friday night, Grant backed the Uluru Statement from the Heart, issued by a gathering of Indigenous Australians in May 2017, as a “high watermark” for Australian liberalism that sought to write a new social contract for the nation. “Aboriginal children and young people need to be given the tools and the opportunity to reach their full potential”, says Justin Mohamed. Read the full article in the latest VCOSS Insight magazine. Justin Mohamed is the Victorian Commissioner for Aboriginal Children and Young People. Wesley Enoch is director of the Sydney Festival and a Noonuccal Nuugi man. Read the full article in The Saturday Paper (December 22, 2018). Daniel James is a Yorta Yorta writer.